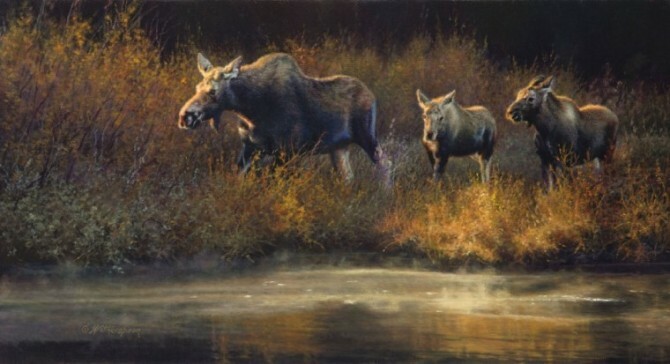 The international Society of Animal Artists is in its 51st year and has grown from the original nine members to about 500, who reside in the United States, Africa, Australia, Canada, Europe, South America, Asia and Japan. The worldwide membership results in a fascinating mix of animal images, both familiar and exotic, rendered in traditional oil, pastel, watercolor, acrylic, crystal, bronze, wood, marble. An exhibit of 64 works by members, including 16 from Colorado, is displayed through Feb. 20 at The Wildlife Experience, at 10035 S. Peoria St., Parker. Site contents copyright © 2019 Recorder Online	except as noted. All rights reserved. | 90 queries in 5.598 seconds.